Positron emission tomography of patients experiencing the premonitory phase of migraine, prior to the headache setting in, shows activation in several areas of the brain, indicating that migraine is a brain disorder and not a response to pain stimuli. The results are significant in terms of understanding the neurobiology of migraine and could have future implications for drug treatment, said study author Peter James Goadsby, MD, PhD, professor, neurology, and director, Headache Program, University of California at San Francisco, and president, International Headache Society. Dr. Goadsby and his colleagues won the Harold G. Wolff Lecture Award for this research during the 2013 International Headache Congress (IHC). Premonitory symptoms of migraine can include yawning, neck discomfort, nausea, thirst, photophobia, phonophobia, craving sweet or savory foods, and mood swings. It’s not clear what proportion of patients with migraine experience these early symptoms, which are often quite subtle, Dr. Goadsby said. Estimates vary widely, from about a third to 80%. In the past, this symptomatology has not received much medical attention, said Dr. Goadsby. Physicians might not ask about premonitory symptoms because this information doesn’t influence their diagnosis. 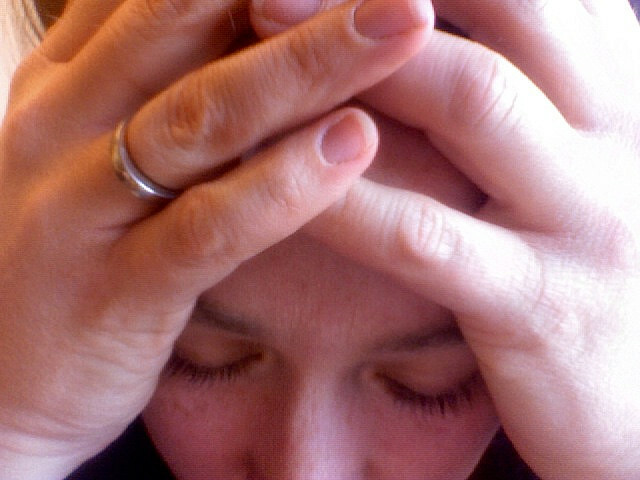 In years gone by, people used to think of migraine as a disorder of the blood vessels. 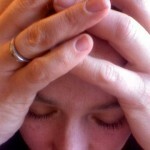 In more recent times, the view has been that migraine is a reaction to pain stimuli. “I think our new research suggests that this is just not true,” said Dr. Goadsby. Using nitroglycerin, a well-documented trigger for migraine, researchers induced premonitory symptoms in patients who have migraine without aura. Instead of waiting for headache onset to begin scanning the patients’ brains, as has been done in the past, researchers did the scanning during the premonitory phase. Eight patients had at least 1 premonitory scan without pain. Researchers used H2 15O (radioactive water) to measure regional cerebral blood flow as a surrogate marker for neuronal activation. They found that compared with baseline scans, there was activation in several key areas, including the hypothalamus, an area involved in low-level regulation of sleep, appetite, mood, and fluids. “It seems likely that the hypothalamus is pivotal in the onset of migraine,” commented Dr. Goadsby. Other structures that were activated included the midbrain, around the periaqueductal grey, which has been shown to be active during a migraine attack, and an area in the pons that past migraine imaging has also shown to be active. “This shows you the areas of the brain that are involved at the earliest in the attack,” said Dr. Goadsby. Scans of the 8 patients plus another 2 patients experiencing photophobia symptoms, again before they felt any pain, showed activation in the visual cortex. “This suggests that the photophobia experience can be dissected away from the pain experience,” said Dr. Goadsby. Similarly, scans of patients experiencing nausea had activation of an area of the medulla that includes nausea and vomiting centers. “So it’s entirely plausible that those areas are activated by the migraine process and that’s why nausea and vomiting are so common in migraine; it’s not simply a response to the pain,” said Dr. Goadsby. “It was thought that nausea and pain were highly linked, but that doesn’t seem to necessarily be the case,” he added. Dr. Goadsby hopes the research will “shift thinking” to consider migraine as a brain disorder, but he stressed that this should not lessen the importance of the pain that migraine patients suffer. The research could have ramifications for treatment in that the most obvious target would be the brain, but developing targeted therapies that don’t have adverse effects could be challenging. “From a big picture treatment perspective, this says to me that we probably won’t get away with developing drugs that don’t get into the brain to have substantial effects on migraine prevention,” said Dr. Goadsby. He noted that to date, the best proven migraine prevention therapies are anticonvulsant drugs, tricyclic antidepressants, and the β-blocker propranolol, all of which affect the brain. This, he said, is consistent with the theory that migraine is a disorder of the brain.